Enhancements designed to make the pump smaller, lighter, quieter and more environmentally friendly. 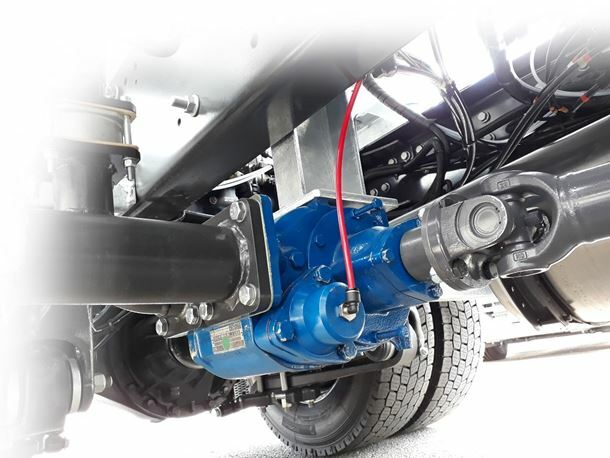 Mouvex, a manufacturer of positive displacement pumps, is launching its new CC10-24 vane truck pump, developed as a vehicle-mounted solution for loading and unloading petroleum products for trucks and transports. The CC10-24 is said to offer the same features and benefits as the Mouvex CC8 pump while incorporating a variety of new enhancements. The enhancements to the CC10-24 are designed to make the pump smaller, lighter (70.6 lbs./32 kg), quieter (72 dBA) and more environmentally friendly, whilst increasing pump efficiency and reducing delivery times. The CC10-24 also features an integrated by-pass designed to protect against excessive pressures and overheating, and is equipped with a 500-micron strainer. Mouvex reports that the CC10-24 pumps are virtually maintenance free, reversible and have been engineered with double ball bearings for longer pump life. The pumps are ATEX certified and available with a 3-year warranty. CC10-24 pumps are offered in cast iron and steel, and are available with flow rates up to 42 m3/h (185 gpm), pressures to 145 psi (10 bar) and pump speeds to 1,500 rpm. Optional features include mechanical by-pass with spring 72.5 or 145 psi (5 or 10 bar), pneumatic by-pass and SAE A hydraulic trunk.